Moulin Rouge! The Musical Event homeBuy ticketsCustomer reviews HamiltonThe PromNetworkTo Kill a MockingbirdKiss Me KateHadestownOklahoma! Why See Moulin Rouge! The Musical? 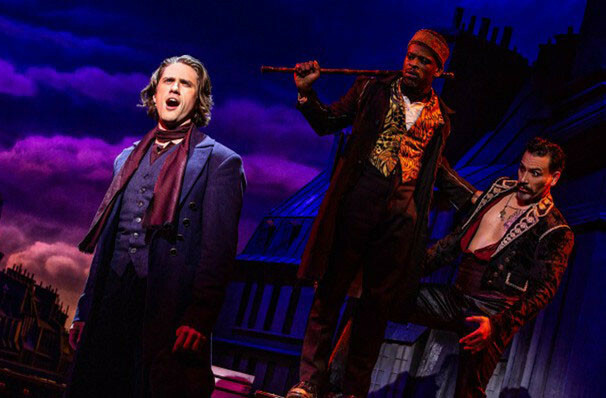 whIRLING ONTO BROADWAY IN JULY 2019! 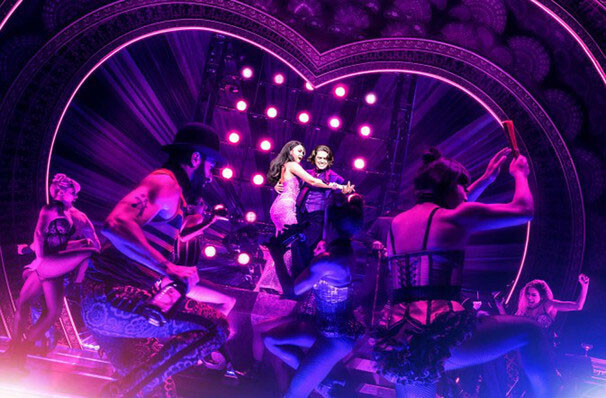 One of the most beloved movies of the 21st century, Moulin Rouge captured the hearts of audiences across the world with its tragic love story and monumental score. 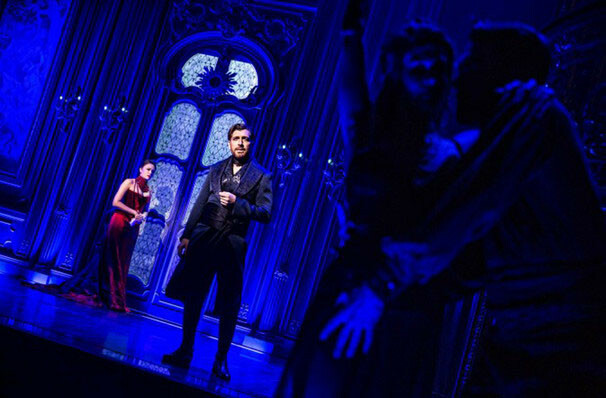 Now, following a delightful world premiere in Boston in 2018, this spellbinding and captivating stage musical will finally make its Broadway bow in summer 2019, with riginal stars Aaron Tviet and Karen Olivo reprising their roles as Christian and Satine. Baz Luhrmann's Moulin Rouge is cemented into the world-wide cannon of iconic movies in history. With a glittering cast featuring Nicole Kidman and Ewan McGregor, and a set which would astound the most cynical viewer it's no wonder that Moulin Rouge went on to be one of the most award-nominated movies of all time. When released in the early 2000s Moulin Rouge was nominated for an outstanding 129 awards, winning two Academy Awards, three Golden Globes and one BAFTA. Moulin Rouge's success certainly cemented Luhrmann's stake as a global movie icon. 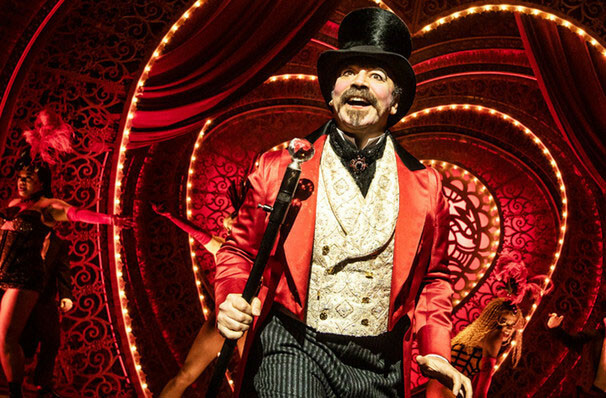 Due to its sparkling success, it's no wonder that director Alex Timbers was keen to take up the previous dormant torch of stage adaptation and light it once more. What's Moulin Rouge all about? Sound good to you? 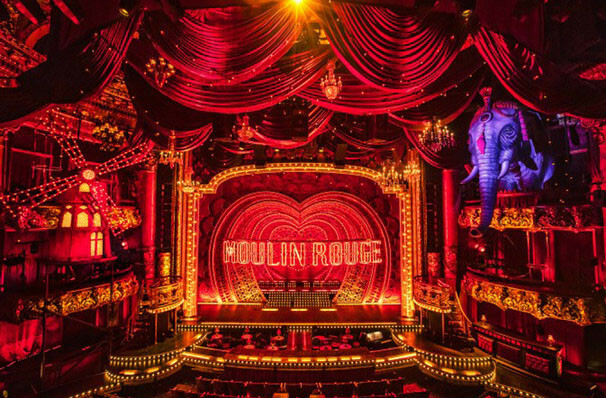 Share this page on social media and let your friends know about Moulin Rouge! The Musical at Al Hirschfeld Theater. Please note: The term Al Hirschfeld Theater and/or Moulin Rouge! 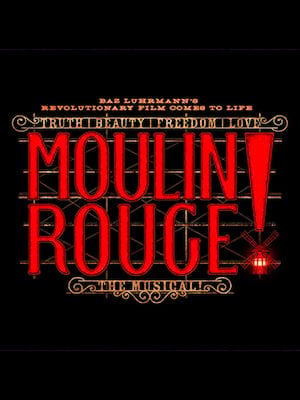 The Musical as well as all associated graphics, logos, and/or other trademarks, tradenames or copyrights are the property of the Al Hirschfeld Theater and/or Moulin Rouge! The Musical and are used herein for factual descriptive purposes only. We are in no way associated with or authorized by the Al Hirschfeld Theater and/or Moulin Rouge! The Musical and neither that entity nor any of its affiliates have licensed or endorsed us to sell tickets, goods and or services in conjunction with their events.